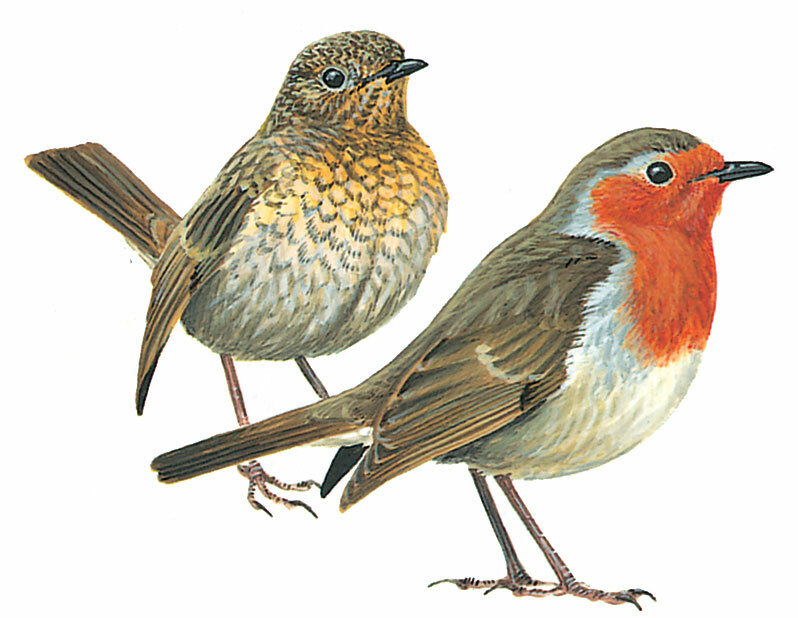 Unmistakable brown chat with diagnostic orange-red face and breast; plump body, large dark eyes and short wings. Juvenile, which lacks red breast, is brown, distinctly spotted buff above and below, (attains adult plumage by end of summer). Usually hops close to ground in shadow (but often sings from high perch). Upright stance, rather tame and distinctive call.